That price! It makes my eyes water if I think about it, so I try not to. I have to mention it, though. You can expect to pay around £900 for this Carbon Fibre masterpiece. You’ll find one for less, I’m sure, but that’s the going rate. It’s an awful lot of money, but it really is an awful lot of helmet. I didn’t expect to be massively impressed with it before it arrived. I’d tried an AGV a few years previous and didn’t get on with the shape or the general fit and finish. I left my reservations at the door and did a thousand miles in the helmet before I wanted to pass judgment. That’s one of my biggest bugbears with forum users. Buying something and writing a detailed review in the same day just doesn’t cut it for me. Anyway, a thousand miles in and I was pretty much in love with the Pista. It’s not the lightest carbon fibre helmet on the market, but it certainly felt like one of the more comfortable helmets I’d ever worn. The shape of the skirt (the edge around the bottom) is contoured perfectly for me. It feels like a custom fit shell. That visor aperture is perfect for track riding, peripheral vision is better than any other helmet I’ve ever used, as is the view up the road or track when I’m tucked in with my chin on the tank of a bike. I wore this helmet throughout the winter and soggy months, the visor gave me no issues in terms of mist or fogging. I really did struggle to find a fault with it. I found a fault with myself along the way when I removed the rubber bungs that block up the air vents (there’s no vent mechanism to keep weight down). I put the bungs in a ‘safe place’ that I obviously immediately forgot about. I’m sure they’ll turn up eventually. Once the worst of the spring weather had given way to some sunshine and a bit of heat, I carried on using the Pista. Ten years of wearing Shoei seemed all but a distant memory, when I’m not wearing this one, I usually wear an open face Bell 500 (perfect for smoking and shouting at taxi drivers in London). Having recently clocked ten thousand miles in the Pista, I feel like my opinion is now based entirely on fact. I can hand on heart say that this helmet is worth every penny. It feels as comfortable today as it did the day I pulled it out of the box. The lining is still plush, the chinstrap showing no signs of fraying or wear. It could do with a wash, both inside and out, but in terms of functionality and performance, I’ve never wanted to recommend a helmet more than this one. 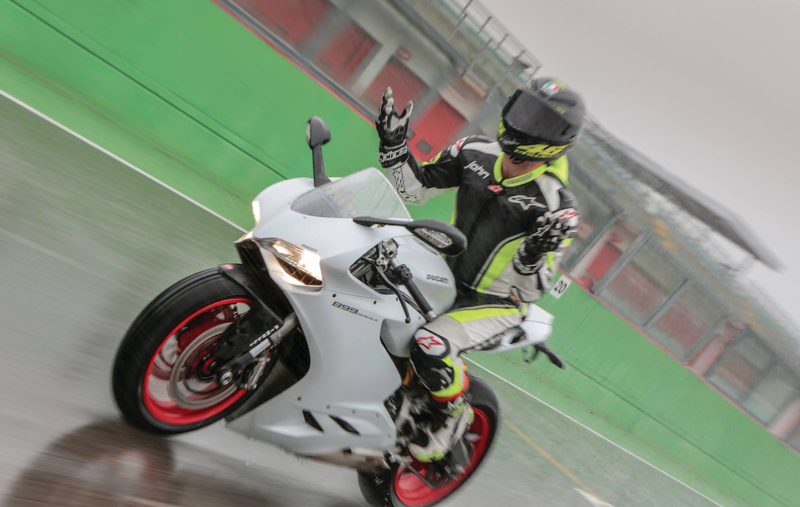 Check out the video below from the Kawasaki H2R launch in Qatar. 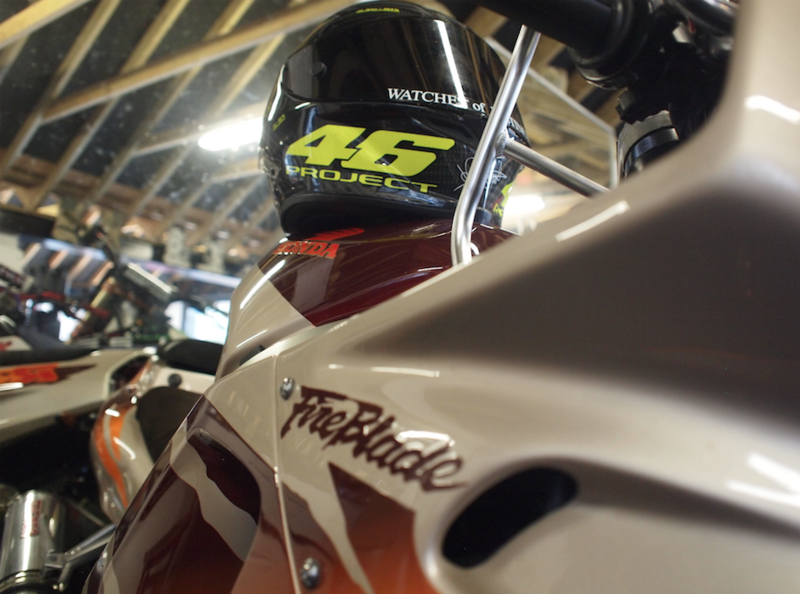 Aside from showing the helmet in its natural environment, it’s another chance to hear the amazing supercharged beauty. The video also shows what happens to neck skin at 180 odd mph. 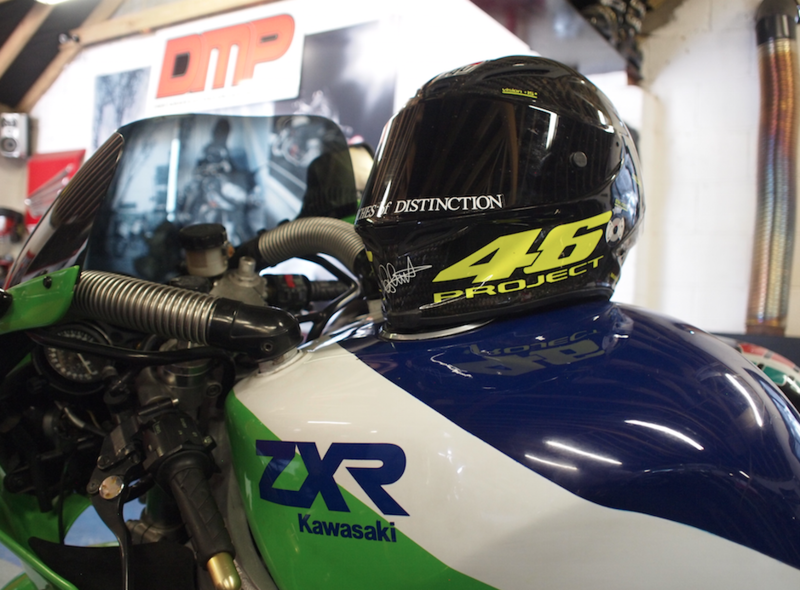 I’m not retiring the Pista as such, but it’ll be moved aside for the Arai RX-7V that’s under my desk. 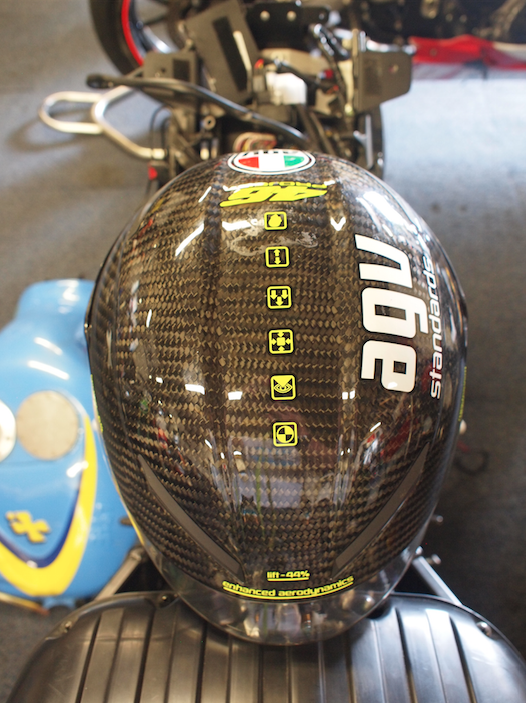 You can buy your AGV from MotoDirect here, you will not regret it.